You can find hair rollers in many different types, shapes, and styles. Some work with direct heat, steam, or no heat at all. There are several different benefits for using hair rollers, regardless of type. Hair Rollers are a lot less damaging. They won’t dry your hair out, which will prevent breakage and keep it healthier. You can get more volume. By keeping rollers fixed up on top of your head, you’re automatically creating more volume. You can easily create different styles. Hair Rollers let you create tight, loose, bouncy, or big curls simply based on the shape and size you pick. You can multi task. Once you put rollers in your hair, you can just leave them in and continue doing other things while you wait. Your curls will last longer. When you put hair rollers in, you can leave them in for a longer time which will help set your hair cuticles and make your curls last all day long. 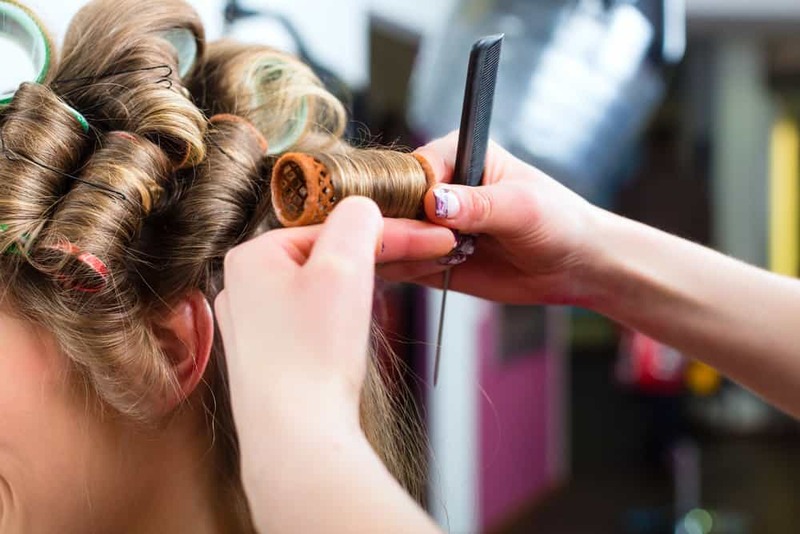 Choosing our list of best hair rollers was a long, meticulous process. First of all, we had to do some research on each different kind of hair rollers and how they work. This is the research that went into the buying guide, which is the most important part of this pager. We discovered that each type of roller works in its own particular way and certain types might work differently on different hair types. We decided to pick the top rollers out of each different type/style. We did not test every hair roller set available. The list of top 10 hair roller sets we set out below is based on popularity, customer reviews and ensuring we include a diverse set to represent the many categories of hair rollers. If you're looking to buy hair rollers, we hope this page helps you with the process. We know there is a ton of information here, and while hot rollers aren't expensive (compared to buying furniture, for example), it's always a hassle buying the wrong product. Thanks for visiting. We hope you find this page helpful. Design: Soft velvet hair rollers that you can sleep in. These sleeping hair curlers work very well with wet hair. Once you wash your hair, you will want to let it air dry about 80%. Then you’ll put these rollers in and leave overnight. 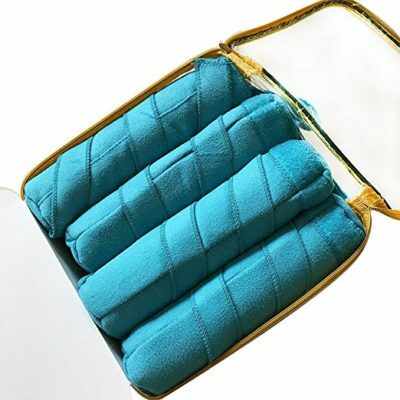 The velvet and sponge material will absorb the water and dry your hair while you’re sleeping. The package comes with eight hair curlers, but if you have thicker hair, you may want to purchase more. 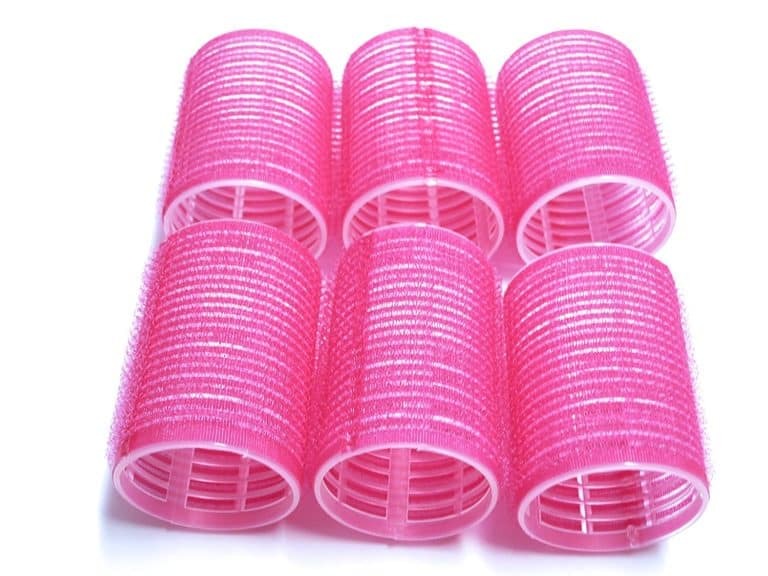 These hair rollers and great for all hair types. Design: Large pink rollers with velcro to hold hair in place. These rollers from UrbHome are easy to use and put in your hair. The velcro sticks to your hair, so you don’t need pins or clips to hold it in place. These type of rollers are known for adding volume to your roots and curls to your ends. They aren’t recommended for long, heavy hair though because they may not stay as well but they are perfect for shorter hair lengths. The rollers have a 40mm diameter to make big loose curls. You can purchase them in either a pack of twelve or a pack of twenty-four and a variety of colors. Design: Variously shaped flexi rod rollers for wet or dry hair. The Tifara beauty pack comes with 42 curling rods in various diameters. You can use the smaller rods to create tight ringlet curls, or medium and large rods to create loose, bouncy curls. You can use these on either wet or dry hair. To use them just separate your hair into small sections and roll your hair up vertically. 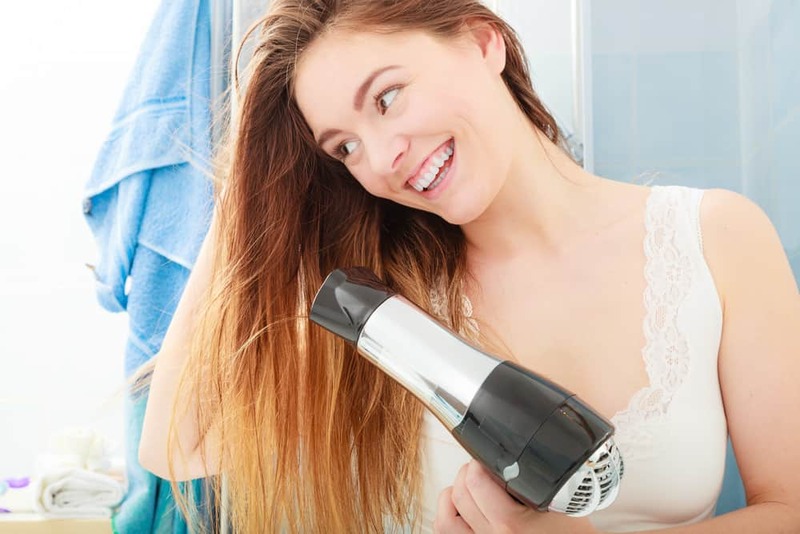 If you start with wet hair, just take a blow dryer and make sure you dry each of them well because removing them. These rod hair rollers work well all hair types. Design: Ionic rollers that create curls with steam. The Caruso Ionic steam rollers work well with thin and thicker hair types. 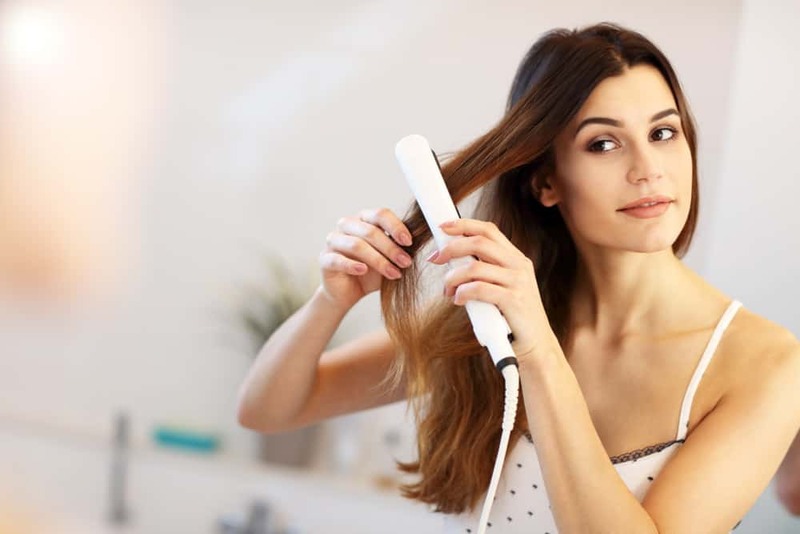 However, you may have difficulty wrapping all your hair around the roller if you have fairly long hair.The description claims to deliver three times the steam as regular steam rollers. To use these rollers just plug them in and let the steam heat them up. Then you’ll roll up your hair up with them and use the clips to hold them in place. Once the rollers have cooled, you can remove them and rake through your hair with your fingertips. 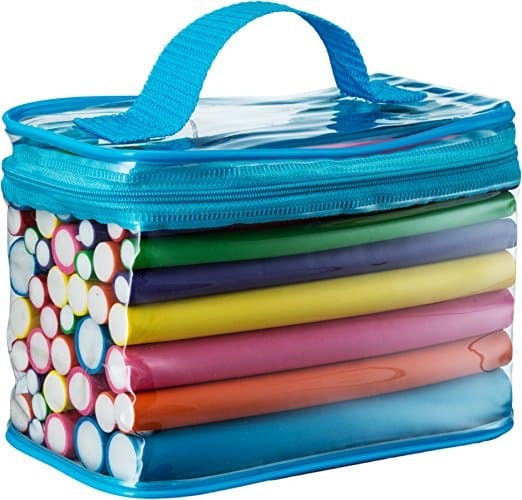 This set comes with thirty steam rollers, in five different sizes and a convenient storage bag to keep them in. Design: Foam hair rollers in various sizes. 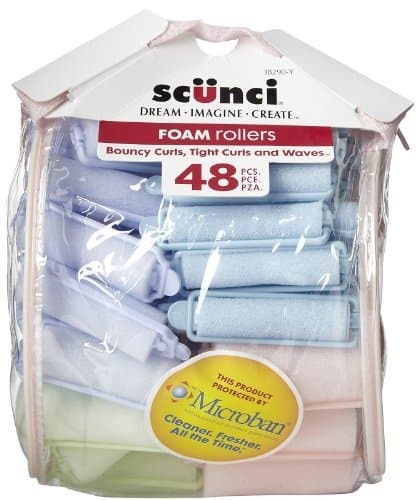 The Scunci foam roller pack comes with 48 rollers in an assortment of sizes. You can use these to get bouncy, tight or wavy curls. 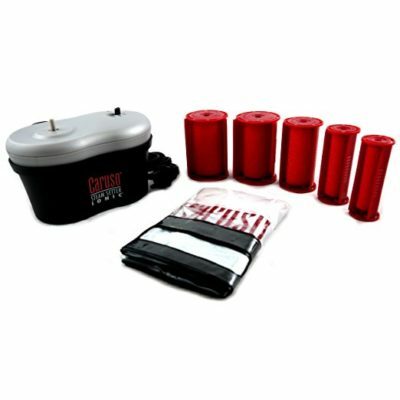 These rollers can comfortably be left in your hair overnight as well. They have outer clips that will hold your hair in place even if you toss and turn during the night. For best results, put them in slightly damp hair, roll them up and let them sit until your hair dries. This brand of foam rollers has a micro ban, antimicrobial protection to keep them cleaner. These work well with all hair types. Design: Large snap on rollers secured in place by magnets. 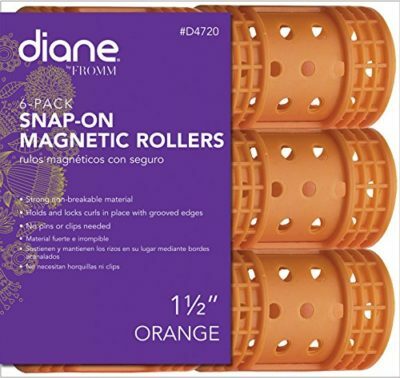 The Diane snap on magnetic rollers come in three sizes, either 1 ½”, 1 ⅛” or 1 ¾”. You can use these on dry or wet hair. These rollers are similar to velcro rollers in shape and the fact that you don’t need pins or clips. Your hair is held in place by magnets. These come in a strong non-breakable material so they shouldn’t be used to sleep in overnight. This pack comes with six hair rollers. These rollers work best on shorts lengths of hair. 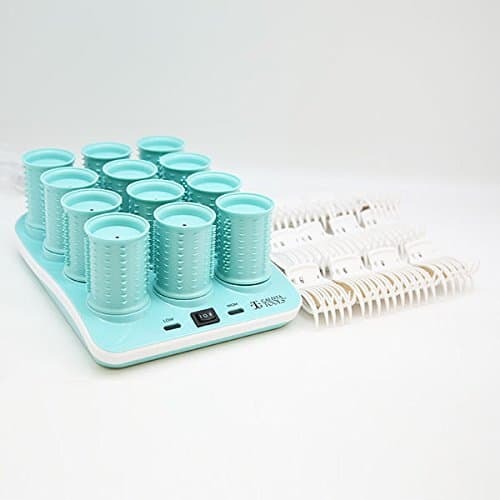 Design: Brush rollers with bristles to hold hair in place. These rollers come with two packs of six. 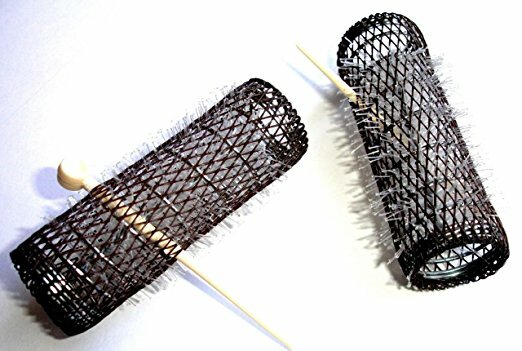 They come in ⅞” diameter and have 3” bristles to hold your hair in place. 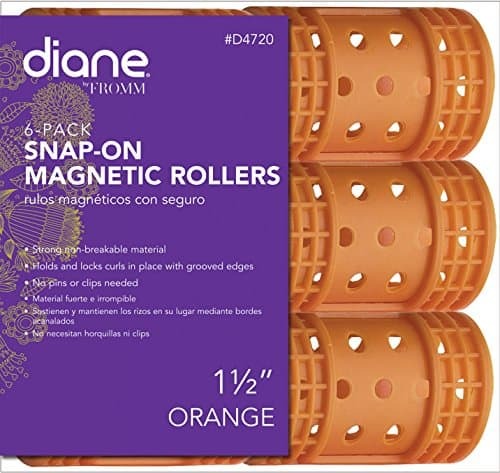 These type of rollers are great for thick and coarse hair because the brush bristles keep your hair smooth and prevent it from getting frizzy. They also work well with naturally straight hair because it sticks well to the bristles. To achieve more volume though, you can easily remove the bristles. This set of rollers comes with plastic pins to hold your hair in place as well. Design: Heated hair rollers with ribbed edges and clips. The Calista hot wavers heated hair rollers come in a set of twelve. You can get them in 1 inch and 1.2-inch diameters. These hot rollers have two heat settings and rollers that can create short, long or wavy curls. Each rod has multi-element mineral powders and moisture infusion to give you softer, shinier hair. 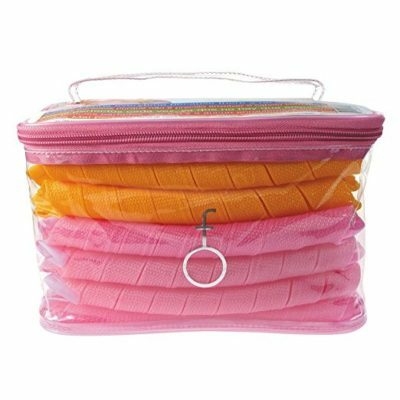 They have ribbed edges which help to smooth your hair when rolling it up. These hair rollers are simple to use and work quickly. Once the rollers have heated up, roll up your hair in small sections and put the clip on. After they have cooled down, take them off and shake your hair out. You can use these rollers with any hair type. Design: Heated ceramic flocked rollers in various sizes. The Infiniti Pro Conair rollers come in a set of 20. These are similar to the Calista hot wavers except they have a ceramic base instead of a ribbed one. The ceramic is infused with argan oil to help condition your hair as well as prevent from heat damage and frizz. The rollers come in three sizes, 1 ¼ inch, 1 inch and ¾ inch. 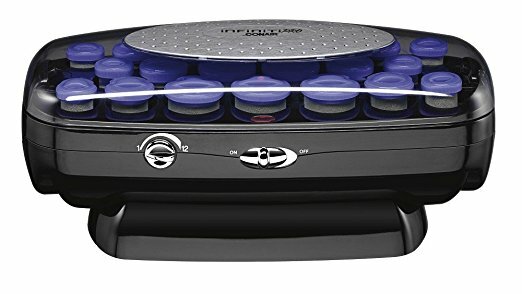 A unique feature of these heated rollers is that they have twelve different temperature settings, so they work on all kinds of hair types. Design: Spiral shaped curl ribbons for long hair. The Curlformers come in a kit with forty rollers and two hooks. These ribbon hair curlers work a little bit differently than the others listed. To use, you start by feeding the hook through the middle of the ribbon then use the hook to pull a piece of damp hair through the ribbon. The ribbon automatically makes a spirally shaped curl in your hair. Finish putting all of your hair in the ribbons and then let it dry completely. 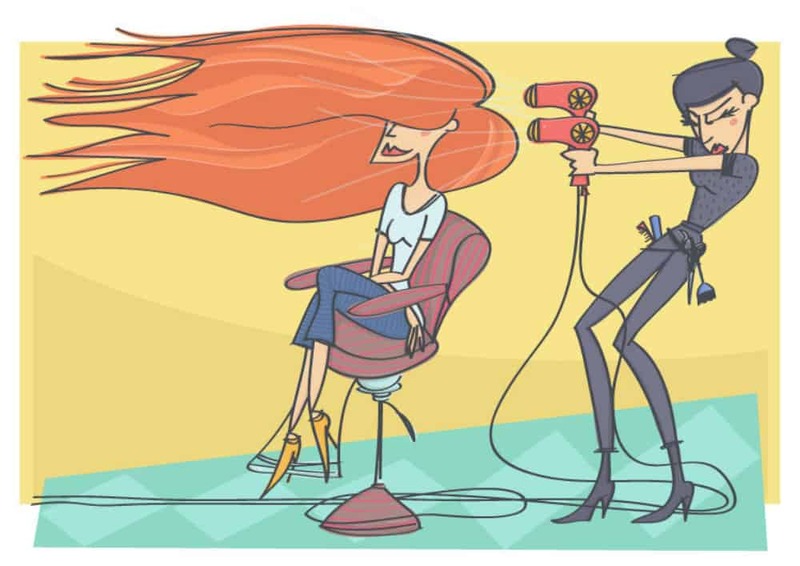 To speed up the process, use a blow dryer. Once you take them out, you’ll have perfect tight spiral shaped curls. These rollers work best on long hair styles.